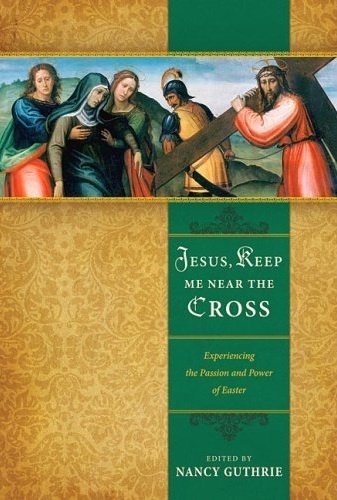 I read Jesus, Keep Me Near the Cross, an anthology of readings about Easter edited by Nancy Guthrie, during the run up to Easter. And it was just as good as Come, Thou Long Expected Jesus was for the season of Advent. As Come, Thou Long Expected Jesus did for Christmas, Jesus, Keep Me Near the Cross drilled down into the Easter story quickly, profoundly and powerfully. It opened up lots of the small detail that can be missed when reading over such familiar stories, bringing a freshness to the Easter story. Interestingly, when I read Come, Thou Long Expected Jesus I started it two days before Advent. I'd been waiting a long time to read that book and couldn't hold out for those last two days. Twenty two readings - one a day with a few missed days here and there because December is such a busy month - should have seen me finish the book pretty much on Christmas Day. As it turned out it was all done and dusted by 10th December. I was like the child who just can't wait to open the presents under the tree. Two or three (or five!) readings a day. I virtually swallowed the book whole and it was pure joy. I started Jesus, Keep Me Near the Cross at the beginning of Lent. Now if my Lent maths is correct, that should have given me 46 days to get through the 25 readings. And as it turned out, I needed every inch of Lent to get through it. I loved this book like the Advent one. And yet it sat untouched on my desk for days at a time and when I did pick it up I could only take in one reading at a time. I finished it just in time for Easter. Which seems about right. 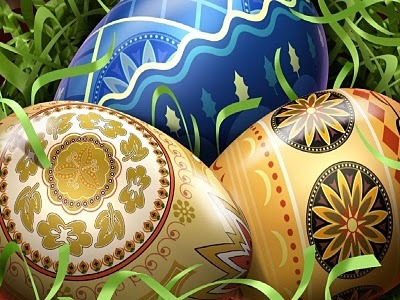 Because Easter is much harder to take in than Christmas. Christmas is all about the greatest Gift ever - the gift of Immanuel. And we get to share in the celebrations and rejoice. But at Easter we become aware of why God needed to send this gift of Jesus. The spotlight is shared between Jesus - the crucified and risen Jesus - and our wretched sinfulness that nailed Him to the cross. If you don't have a strong sense of God's love for you, of the sacrifice He made in sending His one and only Son to die on the cross, of the enormity of Jesus' work and the pain He bore on the cross or of the magnitude of your own sinfulness then this is a must read. It isn't an easy book- although there are some glorious bits - but it is truly worthwhile. And it need not be confined to the lead up to Easter because we need to understand all of these things all year round. With the dawning of hope in Jerusalem. Wrought in love, borne in pain, paid in sacrifice. For He lives Christ is risen from the dead. See Mary weeping "Where is He laid?" As in sorrow she turns from the empty tomb. Hears a voice speaking, calling her name. It's the Master the Lord raised to life again. Speaking life, stirring hope, bringing peace to us. For He lives. Christ is risen from the dead. To the King crowned with power and authority. And we are raised with Him. Oh, what we miss out on when we rush past the cross of Christ. Oh, the richness and reward when we stop to linger before it, when we take the time to "consider him who endured the from sinners such hostility against himself" (Heb. 12:3). In a culture where crosses have become commonplace as architecture and jewelry, how we need to truly gaze upon the cross of Christ in all of its ugliness and beauty, in its death and in its healing, in the painful price paid there, and in its free gift of grace. Jesus, keep us near the cross. ...How we need to have our hearts broken again by our sin that put Jesus on the cross. How we need to have our confidence grounded by what Jesus accomplished on the cross. And how we need to have our hope anchored in the promise of resurrection. From the preface, written by Nancy Guthrie, of Jesus, Keep Me Near the Cross. I have heard many sermons about the physical pain of death by crucifixion. I've heard graphic descriptions of the nails and the thorns. Surely the physical agony of crucifixion was a ghastly thing. But there were thousands who died on crosses and may have had more painful deaths than that of Christ. But only one person has ever received the full measure of the curse of God while on a cross. I doubt that Jesus was even aware of the nails and the spear - he was so overwhelmed by the outer darkness. On the cross Jesus was in the reality of hell. He was totally bereft of the grace and the presence of God, utterly separated from all blessedness of the Father. He became a curse for us so that we someday will be able to see the face of God. So that the light of his countenance might fall upon us, God turned his back on his Son. No wonder Christ screamed. He screamed from the depth of his soul. How long did he have to endure it? We don't know, but a second of it would have been of infinite value. Finally, Jesus cried, "It is finished." (John 19:30) It was over. What was over? His life? No. It was the forsakenness that ended. The curse was finished. From "Cursed" by R.C. Sproul (page 95) in Jesus, Keep Me Near The Cross edited by Nancy Guthrie. Crises have a way of revealing our character. In the midst of a trial, we sometimes learn things about ourselves that we would rather not know. At other times we see friends really rise to the occasion in the midst of trial. Jesus' character shines through in this moment of crisis. Don Carson says, "In all of the various trials and mockery that Jesus underwent, His character stood out more and more clearly against the backdrop of moral corruption and failed loyalty and cheap cruelty around it." We cannot help but admire the dignity of the Lord Jesus Christ as he goes through this indignity. He does it with magnanimity and with the sense that he is not forsaken. He is not out of control. God's providence is ruling over all. So the character and calmness of Jesus remind us and provide an example for us in the midst of our own trials. From "Betrayed, Denied, Deserted" by J. Ligon Duncan III (page 38) in Jesus, Keep Me Near The Cross edited by Nancy Guthrie. and we started doing the readings with our kids three days ago. AND we have already missed a day! Two readings in and the boys are really enjoying it. We've been reading from the Good News version - and in fact the older of our two boys has been doing the reading for us. After the story we've asked a couple of questions - basic comprehension for the younger, something a bit trickier for the older. We put a couple of jelly beans for them in the first egg. Tonight's egg contained an extra piece of paper that said, "There won't be a treat every day but for today, if you listen very carefully we will give you a clue to help you find a surprise," and then sent them off after the story and questions to find chocolate hidden elsewhere in the house. So that may need to go in the revised edition for next year. If you are working through these readings please let me know if you think anything else needs to be added in or taken out. That would be great. The first Adam began life in a garden. Christ, the second Adam, came at the end of his life to a garden. In Eden Adam sinned. In Gethsemane the Saviour overcame sin. From "Gethsemene" by R. Kent Hughes (page31) in Jesus, Keep Me Near The Cross edited by Nancy Guthrie. I wonder whether Kent Hughes is a little bold in his assertion regarding the comparison between the two gardens. None the less, it does illustrate the big picture of the Bible wonderfully and provides some practical insight into Romans 5:12-21. Here is another prayer from the section "A Week's Shared Prayers" from The Valley of Vision. This one is for Sunday morning and makes for a beautiful start to this day.